A Beekeeper Jewelry Box. The design is based of off a Beekeepers top-bar box, which has the slides where the bees build the hives. 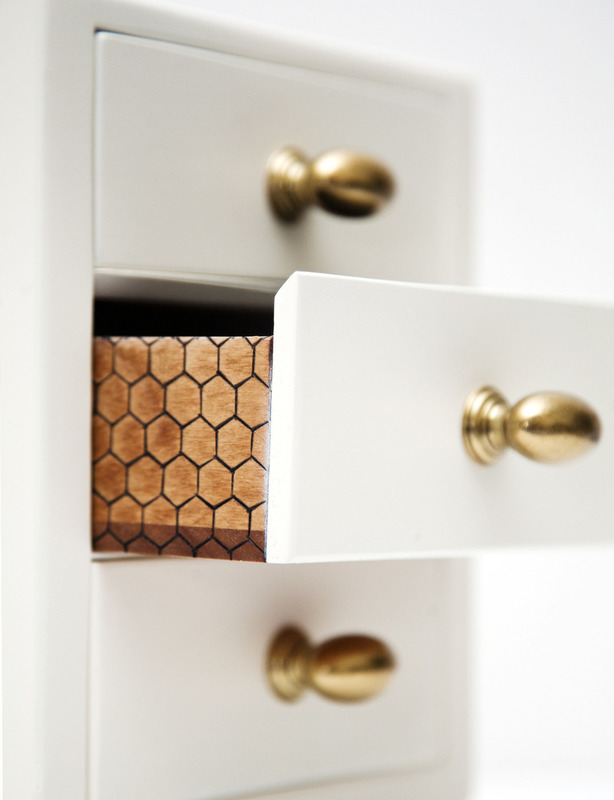 The drawers have a hand burned honeycomb pattern to mimic the look of the honeycomb hives.